Hotel Heaven Seven, No.26, Haddon Hill Road, Nuwara Eliya. Standing on the balcony of the Heaven Seven, the gentle breeze flowing past you, will make your soul feel loved and joyous. The alluring fragrance of the multi-hued blossoms will fill up your lungs as the grandstand view of the Race Course and the breath-taking view of the City of Nuwara Eliya will definitely mesmerise you. If such a heavenly ambience can be experienced in the Balcony, imaging the height of comforts you’ll be wrapped in at Heaven Seven Nuwara Eliya. Step into the balcony and widen your eyes to drink in that wonderful panoramic view of Nuwara Eliya. 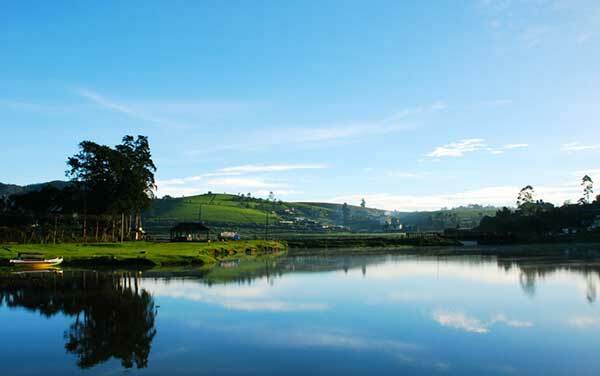 The scenery is overwhelming to your left you’ll be delighted with the wonderfully gay ambience that is forever projecting from the Nuwara Eliya town. While the town comes alive with an unbreakable chain of musical shows and carnivals of great pleasure, the centre of your vision is graced with the very famous Race Course ground that is brimming with horsepower and nail biting spectators. That’s not the end of the story, if you tilt your head a bit to the right, the calmness of the silvery glow of Gregory Lake will clear away the negativity and take you to a moment of complete joy. We stayed here for 1 night. It was very good experience. Staff was very friendly and cooperative. Excellent room. Food was very good. As we entered in hotel, they welcomed us warmly and it feels great. Very good hotel and we enjoyed their hospitality. I recommend you this place because the boss of the hotel is very careful with the client's satisfaction. They really listen to you and try to do their best to make your day great. We keep a wonderful feeling about this place. So please if you are going in Nuwara Eliya, don't hesitate and go there!! Copyright © Heaven Seven Hotels Nuwara eliya. 2018 All Rights Reserved.